It is three hundred years since the world toppled on its axis, and civilisation was destroyed. 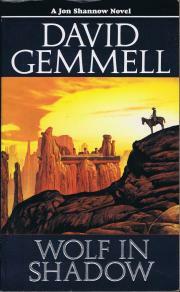 In this savagely reshaped world ruled by brigands and war-makers, a rider seeks a lost city. 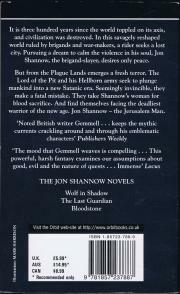 Pursuing a dream to calm the violence in his soul, Jon Shannow, the brigand slayer, desires only peace. But from the Plague Lands emerges a fresh terror. The Lord of the Pit and his hellborn army seek to plunge mankind into a new satanic era. Seemingly invincible, they make a fatal mistake. They take Shannow's woman for blood sacrifice. And find themselves facing the deadliest warrior of the new age. Jon Shannow - The Jerusalem Man.